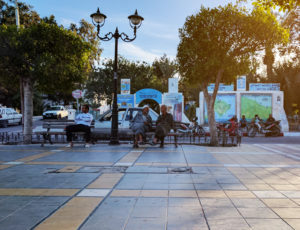 Djerba is a multicultural island in Southern Tunisia that boasts world-class beaches, rich cultural experiences and a vibrant nightlife. 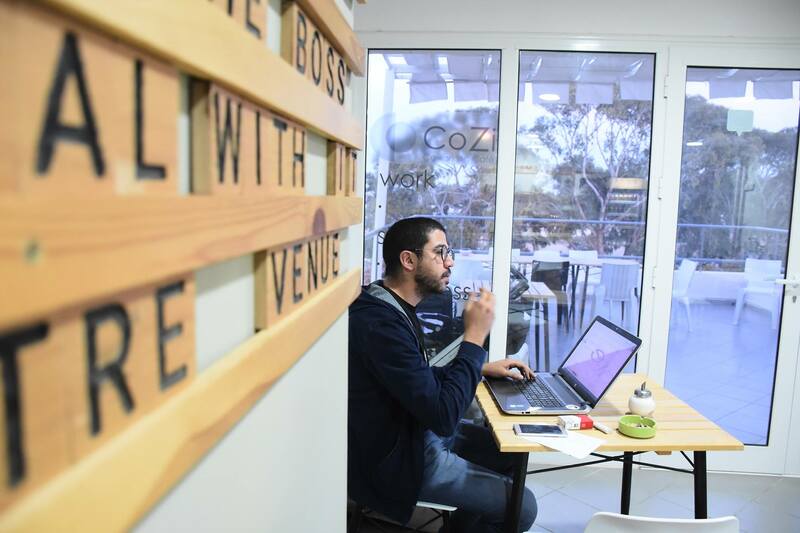 CoZi Coworking Café is located across the street from the beach and within 5 minutes of both the traditional markets of Houmt Souk and the tourist attractions of Djerba’s Zone Touristique. 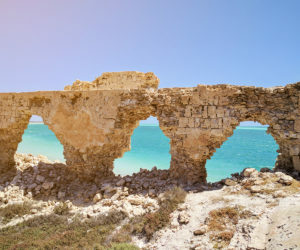 According to the Greek myth of Ulysses, who forgot why he came to this island after eating the lotus flower, Carthaginians were the first to establish the trading partnership with Djerba. It was also called Meninx by the Romans who established the Roman Roadway, that still ties the island to the mainland. Furthermore, the island has been invaded numerous times be the Byzantines, Arabs, Sicilians, Ottomans and the Spanish. 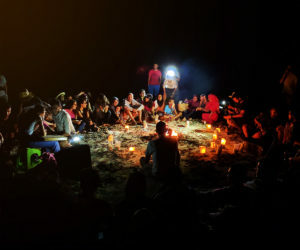 The reasons behind these invasions are various; the island’s strategic location, its fertility, its sandy beaches… Actually, you will never know why people do come back to the island after setting foot on it. Due to the diversity of civilizations and the island’s climate, the architecture has proved to be various… extremely various, but also vernacular. You will surely enjoy the blue-and-white combination, that’s our own “B&W” here. Here, the architecture is very compatible with the weather. In fact, there is a perfect harmony between the built and the natural. This is due to the small scale of the buildings, their color and the materials used which come precisely from nature. In Djerba you get an overdose of shapes. Thanks to the Djerbians’ smart adaptation to climate. 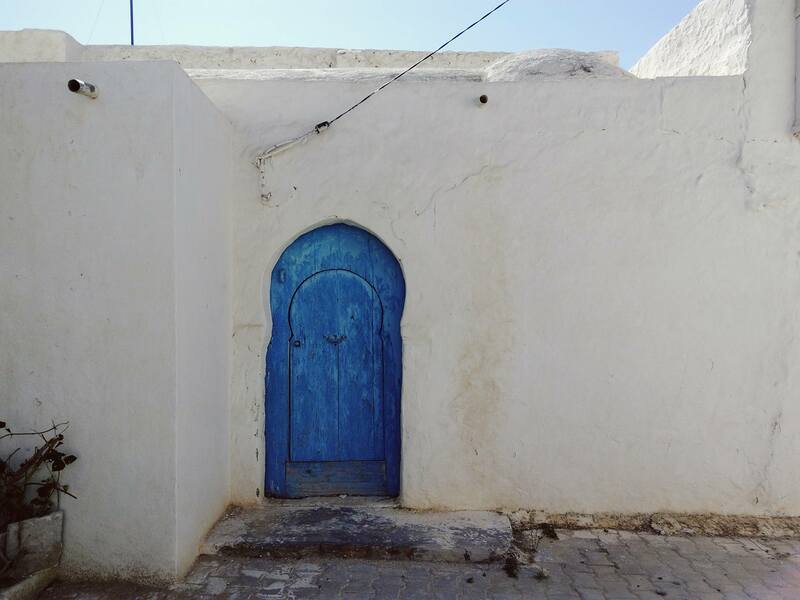 You will fall in love with the vaults, cupolas, small rectangular windows, original doors… And we cannot talk about architecture without mentioning the 300 mosques of Djerba. 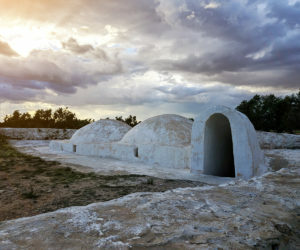 Djerbian constructions are characterized by a great simplicity that makes all their charm. When you move along the island, the first thing that you will notice is the coexistence of mosques, churches, and synagogues. It is obvious that the number of mosques is so much greater than the other religious buildings since Muslims ( who are Sunnah and Ibadites) represent the majority, but that doesn’t exclude that there is a certain number of Jews and Christians living peacefully together. 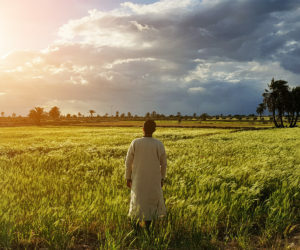 If we take a look at the world’s biggest problems, the main reason is always religion, whether between Sunnah and Shia or between Jews and Muslims. Djerba is the exception. This island is one of the best examples of coexistence in the world. 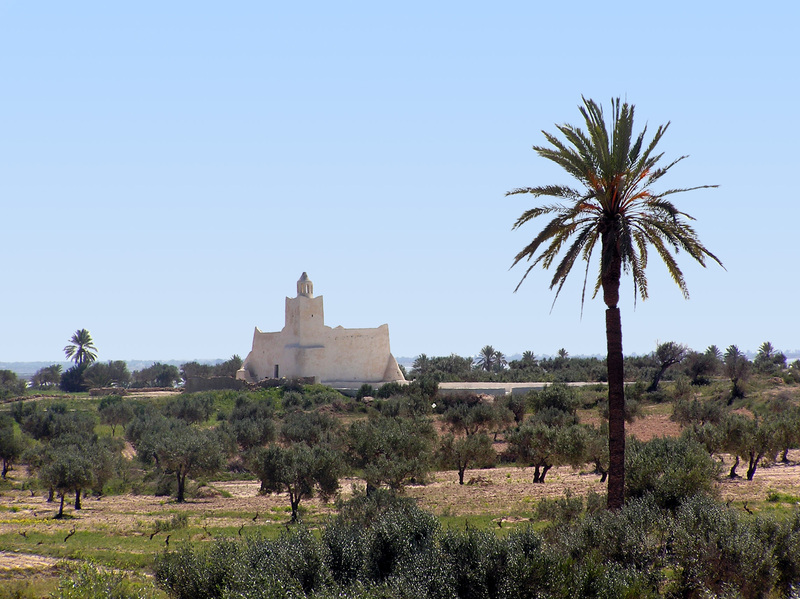 You can’t visit Djerba without passing by the new village of arts, or let’s call it the “real open-air museum”. 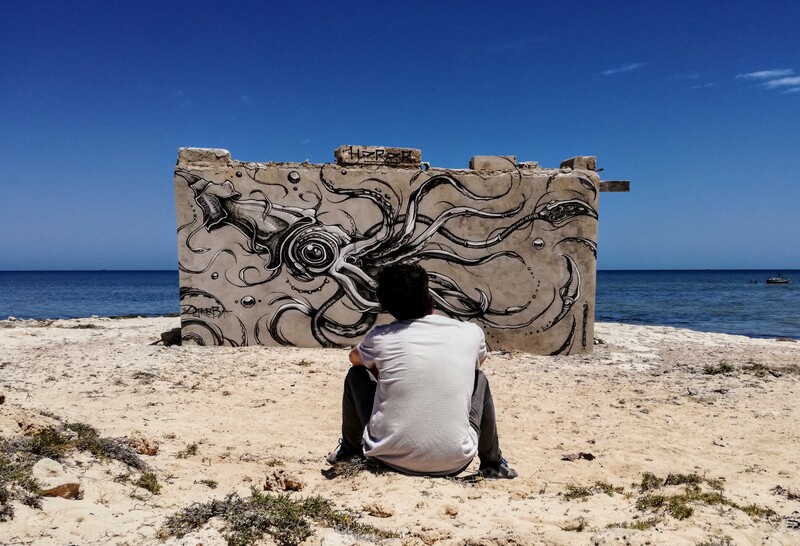 Djerba has invited 150 artists from 30 nationalities, in 2014, to create 250 mural paintings in the open air. The village is kind of old, in buildings and decoration, and the mixture of the modern art and the old buildings are perfect to spend the afternoon enjoying the Hood, as the Djerbian youth call it. But that doesn’t stop there. 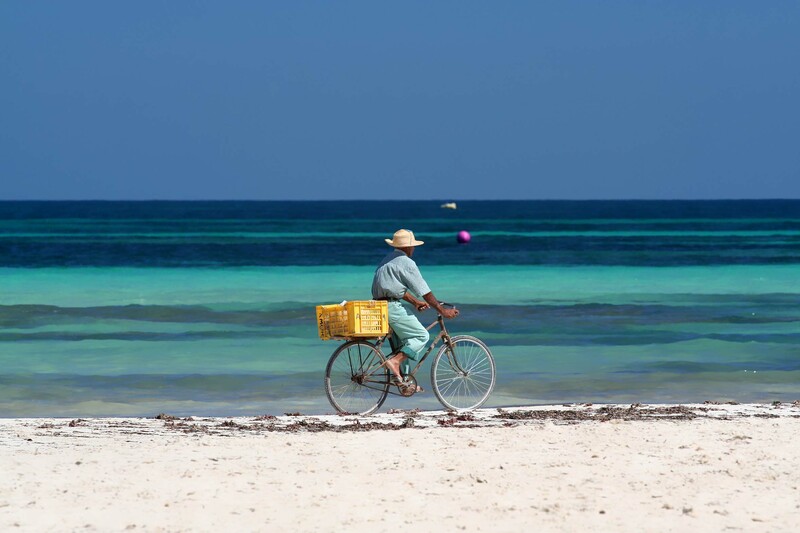 By moving along the island, you will find paintings everywhere. 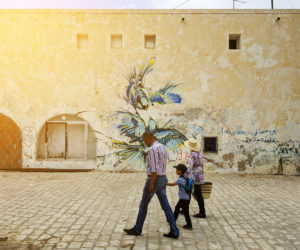 In 2018, there were some attemps to implement this street art culture in Houmt Souk. You can’t understand the beauty until you see it, seriously. Djerbians are the ones you need to enjoy your stay and make it a whole adventure, and they’re always welcoming these initiatives. There is another thing that you should not miss with them, traditional weddings. Weddings in Djerba are quite warm and enjoyable, you will never regret being among the people celebrating. You can know more about Djerbian traditions by visiting the Guellala Museum. 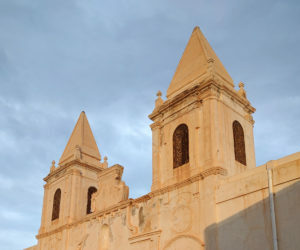 The monuments represent the cultural heritage of the island. They are mainly mosques, as mentioned above. And every single Mosque, with every style of architecture, with every detail, has its own story that you can only know about by communicating with the residents. There are also two churches in Houmt Souk, one is Catholic and the other is Orthodox, they dated back to the 19th century. 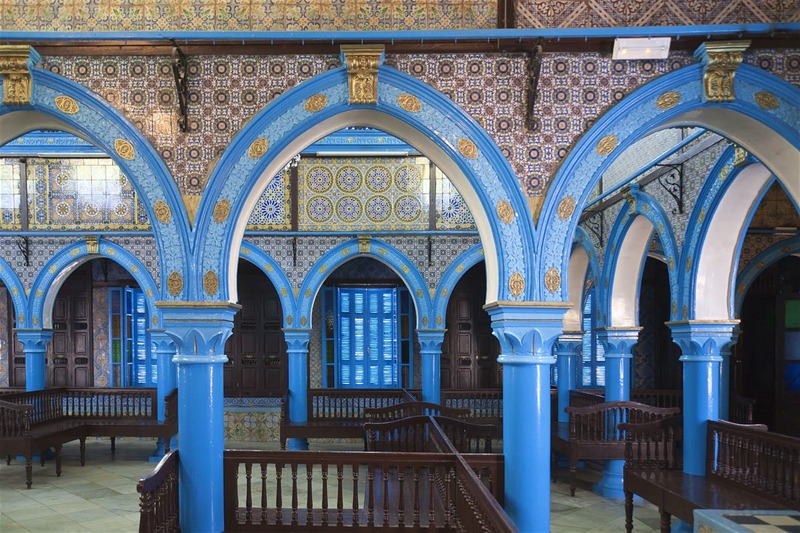 And some Jewish synagogues including the most famous, the Ghriba. There are also many forts that deserve to be seen. And of course Ben Ayyed’s Palace, the richest Djerbian man ever. This is the main reason why Djerbians can’t get used to other places life easely. There are three things that do not mix up out of the island: Calm, Reflection and Relaxation. You can’t believe how serene life here is, the weather, the islanders, the general atmosphere are all a perfect place to work and enjoy the journey. Djerba is the definition of an easy casual life. A luminous area with a nice view. Several accommodations and catering services partnerships. Pour travailler, échanger, organiser un evenement, c’est la meilleur place! Il est un espace coworking bien équipé, bien organisé avec une cafetière calm avec une vue du plage de Sidi Zayed. 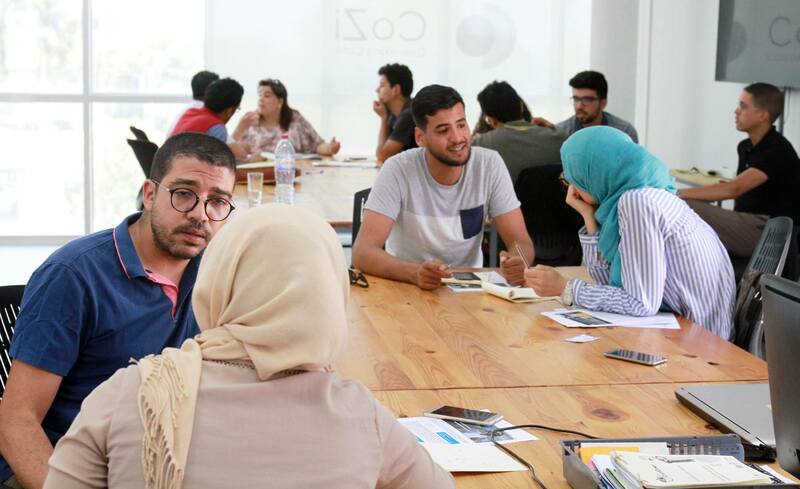 Le meileur coworking space à Djerba, on peut s’y rendre pour réviser, des réunions ou pour les petites startups. 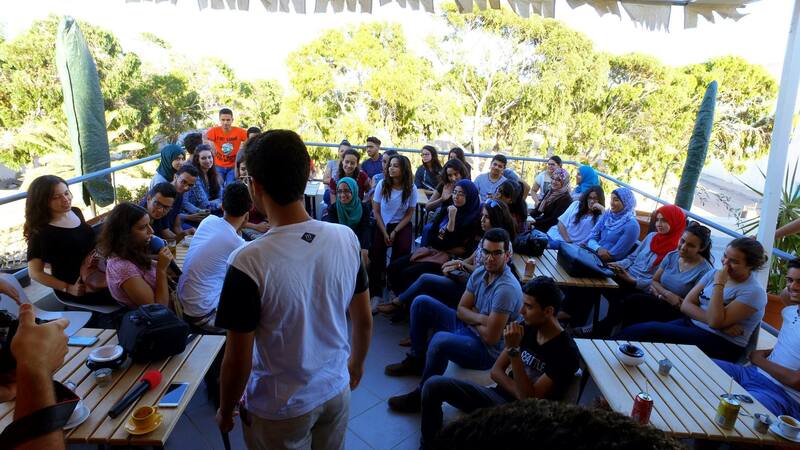 Un café délicieux autour des idées très innovantes, good job youth of Djerba, keep it up! I’ve been to CoZi many times and loved the place since the first time I visited. You can work without worrying about noise, internet access or even leaving to grab food since it’s all provided in there! The best part for me about the place is the view and the kind of people I find there whenever I visit. I worked at CoZi for a month and cannot recommend it enough. The team does a fabulous job of making you feel at home, there’s so much to see and do in the traditional area of Houmt Souk and plenty of nightlife in the « tourist zone » down the road. Coworking space is quiet, internet’s fast and the cafe has a view of the sea. Loved it.